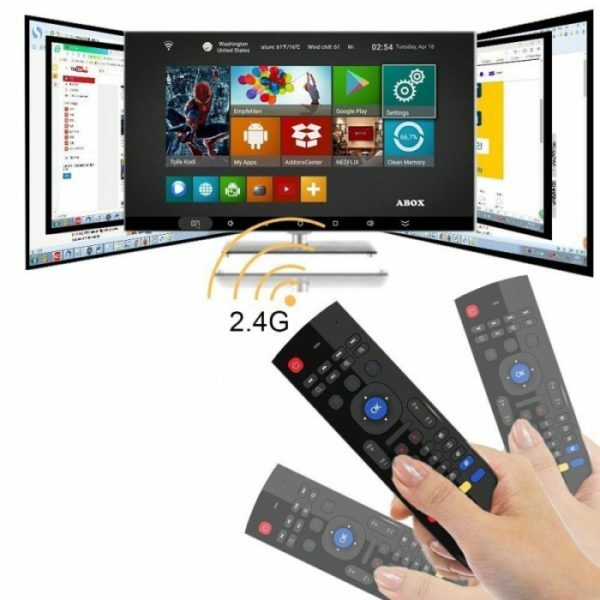 If you want to purchase the All in One Remote control to smart TV, Android TV Smart Box, PC Remote and Gaming Console, then there is no need to go for cheap quality products as the official franchise of the Telebrands PAKISTAN has come up with a versatile product that will definitely fulfill your purpose in an efficient manner. The name of this top quality product is Air Mouse MX3 for Android and Smart TV. The Air Mouse MX3 for Android and Smart TV, as the name clearly indicates, is a top of the line Universal remote controller for different devices. The Air Mouse MX3 for Android and Smart TV has a total wireless controlling range up to 10 meters. It means that now you can easily use the remote control up to the distance of 10 meters without any problems at all. The Air Mouse MX3 for Android and Smart TV features the full QWERTY keyboard that allows the user to type on the air Mouse Keyboard like the standard full sized-QWERTY keyboard. The Air Mouse MX3 for Android and Smart TV is powered by Li-Ion rechargeable battery that allows the customer to easily charge the battery using a standard mobile charger. The Air Mouse MX3 for Android and Smart TV features the Auto Stand By features about 20 seconds. It means if the user did not use the remote control for 10 seconds, then it will automatically go to standby mode to save the battery. If you want to purchase this top of the line Air Mouse MX3 for Android and Smart TV, then all you have to do is to dial the number 0333.4115583 from your landline or mobile number.